A couple of weeks ago, I was lucky enough to win a double pass to watch The Red Shoes as part of the "Hollywood Masters" series showing throughout some local cinemas. Thanks Sydney Dance Company mailing list :) I'm pretty sure that's the first thing I have ever won. 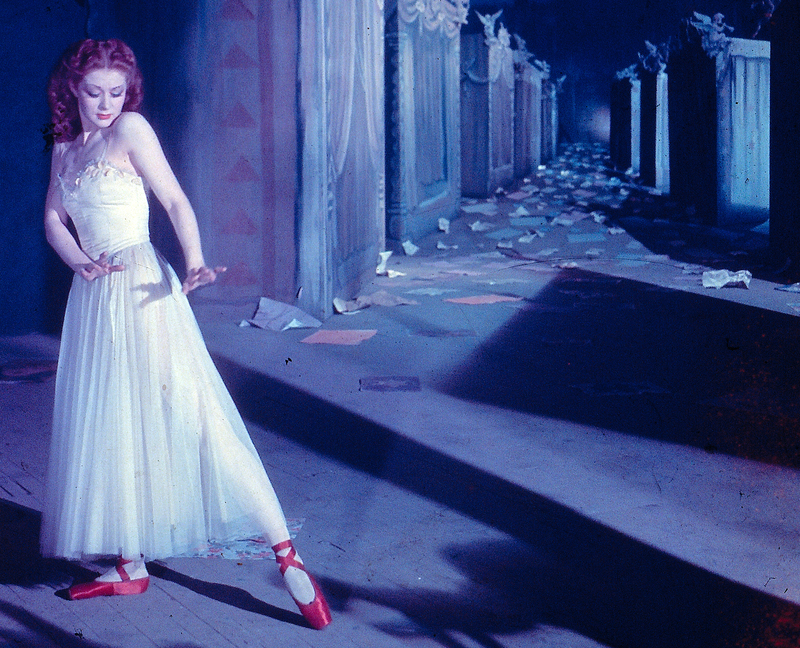 In case you don't know, The Red Shoes is a film that was made in 1948, based on the Hans Christian Andersen story of the same name and starring Moira Shearer. It's a ballet movie, but it's about a lot more than ballet. It has that dark fairytale edge to it and if you liked Black Swan, well, you should watch the original ;) It's not exactly the same but there are a LOT of parallels. The story centres around Victoria Page, a young socialite who aspires to be a ballet dancer. The Lermontov Ballet is performing in London and she catches the attention of the director, who casts her in his latest production, The Red Shoes. During the production, Vicky falls in love with the composer, Julian Craster, and is forced by Lermontov to choose between her love of Craster and her love of the art of ballet. The ballet in the movie, which is based on the Hans Christian Andersen story, holds a mirror up to the events occurring in her real life, and adds a dramatic dimension to the story. As you can see, giving in to the temptation of The Red Shoes can only end in madness and pain. 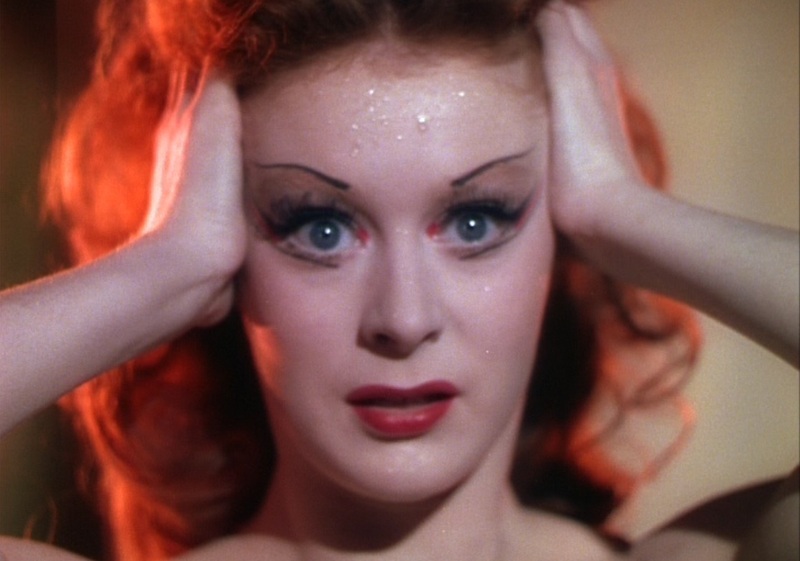 There's some pretty spectacular costumes and makeup in this film, and I'm pretty sure the eye makeup made famous in Black Swan was inspired by this look. Even if you're not into the idea of a ballet film, the costumes, sets and locations are worth the price of admission. Lermontov has some particularly awesome sunglasses. Before the film we were treated to drinks and canapés, and a surprise performance by a lovely ballet dancer in the bar area! She did pretty well dancing on the carpet en pointe. I'm not sure if I would prefer concrete or carpet to be honest... O.K, let's be honest, I'm not going anywhere in pointe shoes these days :( I still have a bazillion pairs in varying states of decay, just in case though. I hope I didn't bore you with all the ballet movie talk, but I love this film and I hope you have/will enjoy it too.